Taking serious note of acute water shortage in South Gujarat’s Chhotaudepur district, which is less than 100 km from the Narmada dam-reservoir, and the high-profile Narmada canal passing by less than 50 km away, the Gujarat High Court has issued notice to the Gujarat government to reply back by July 20 on what is being done to mitigate the situation. Issued to the Gujarat chief secretary, the water supplies secretary, and the district collector, Chhotaudepur, the notice is in response to a public interest litigation (PIL) filed with the chief justice seeking urgent intervention to provide Narmada waters to the predominantly tribal district, which has experienced extreme water shortage and drought this summer. 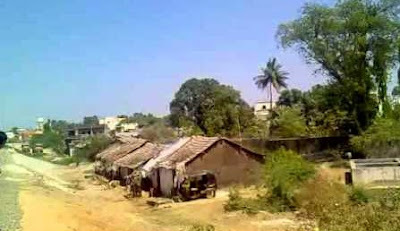 Filed by Gujarat’s well-known Dalit rights NGO Navsarjan Trust, the petition says that though the Narmada dam is situated “at a distance of less than 100 km” and the Narmada canal passes by less than 50 km away, the district is facing “acute shortage of water”, with the state officialdom refusing to lay canals to provide waters to the needy villages. Calling it a clear case of “discrimination between citizens”, the petition says, the state government has been spending “crores of rupees to provide Narmada water to far off places in Saurashtra and Kutch, but does not make any effort to provide water to Chhotaudepur, which has a majority tribal population. Pointing out that the issue of acute shortage of water was brought to the notice of the state government as also the local administration by a local NGO, Adivasi Kalyan ane Vikas Manch, way back in March 2015, the petition says, more than 10,000 tribals had gathered in a rally and a memorandum was submitted to the district collector. Meanwhile, the petition says, this summer, there was no water in Orsang river, the 13 lakes dried up, the Sukhi dam had not waters, the wells were dug up even deeper, and the hand pumps stopped functioning. Further, the petition says, the plans to build check dams in Kavant taluka in several of the villages –Amalvant, Singla, Zer Jamli, Nalej Harvant Singla, Zer Jali Nalej, Harvant Jogpura Khadi Raipur, Bhabhar, Kundanpur, Dhanya, Dhanya, and Linda Tekra – were not implemented. And, while the state government, in 2009, prepared a group water supply scheme, at Hafeshwar for Rs 64 crore, it remained a non-starter for the 180 villages of Kavant and Pavi Jetpur talukas, which were to benefit from it. Even today the scheme has not commenced. Things went so bad this April, says the petition, that groundwater tables went gone down up to 400 feet, and government and private bores were to dug up to 500 feet. Even those colonies, where the Narmada displaced were rehabilitated, such as in Sankheda and Bodeli talukas serious water crisis took shape, yet the authorities supplied only one tanker water “as against requirement of at least 4-5 tankers per day”, it says.